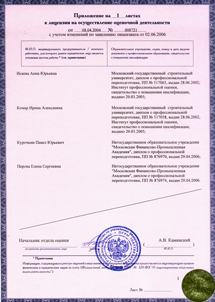 A license is an authority, especially, a formal permission or sort of business card of a firm, which shows that this firm legally exists in the valuation services market from the time when such activities were subject to mandatory licensing. Where a firm has not such license it means that the firm is a newcomer. 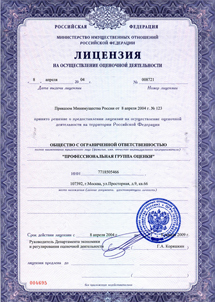 Following abolition of licensing and entry into force of Federal Law, “On introduction of changes into Federal Law, ‘On valuation in the Russian Federation’”, No. 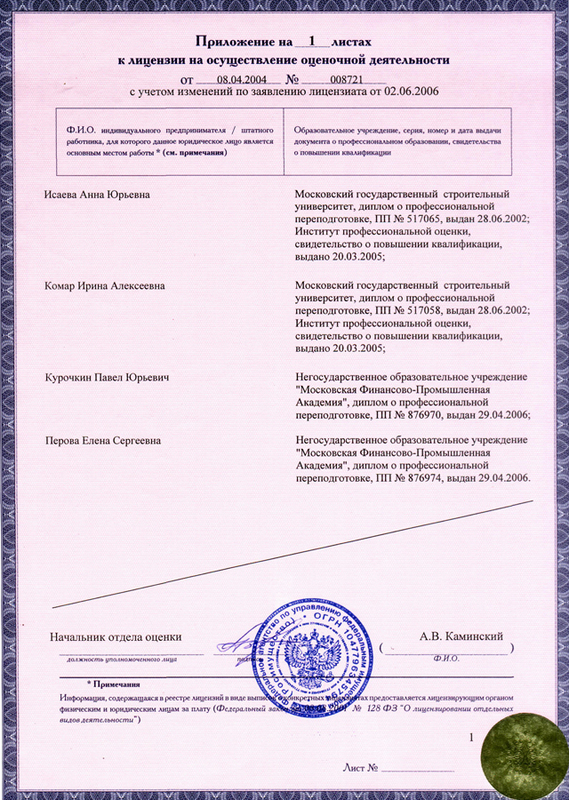 157-FZ, dated 27 July 2006”, a new law that governs the valuation activities, our employees became members of ROO and OPEO, self-regulated valuers’ associations.